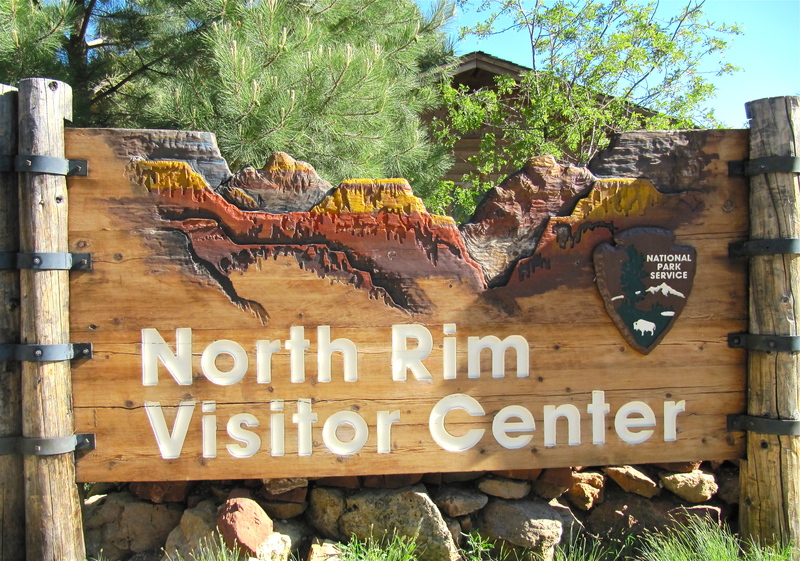 In the arid Arizona Strip southwest of Kanab, Utah, Pipe Springs National Monument honors native and immigrant cultures that settled around a spring on the high desert. Rangers give guided tours every half-hour of the stone fortress known as Winsor Castle. 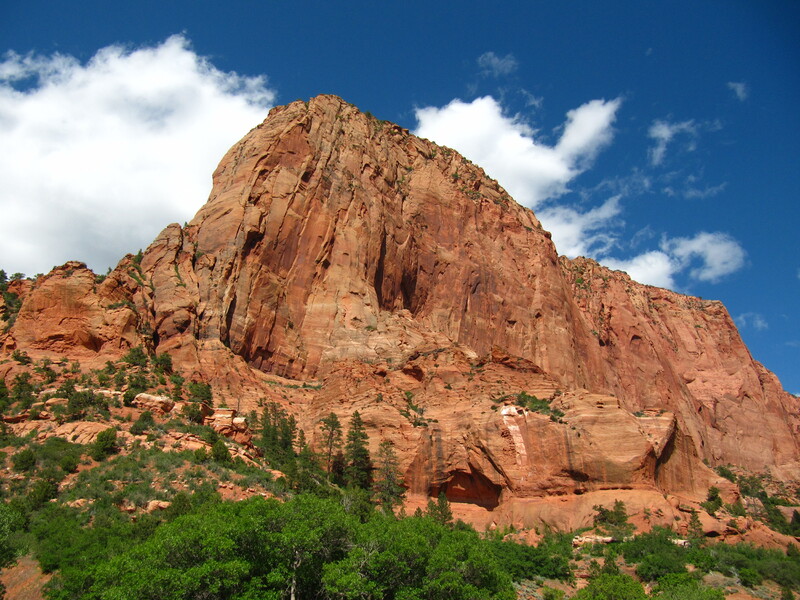 The structure was built by Mormon pioneers protecting a year-round natural spring. 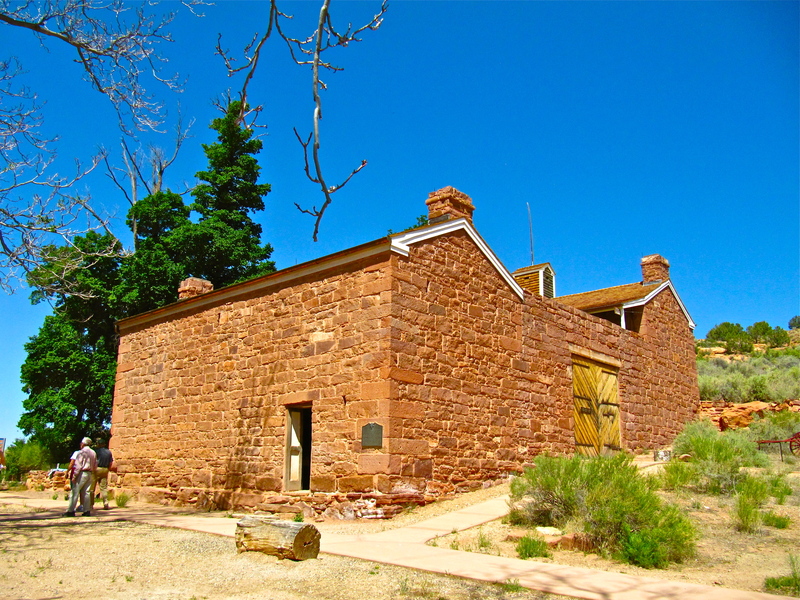 A museum also features the culture of the Kaibab-Paiute tribe who have inhabited the region for centuries. 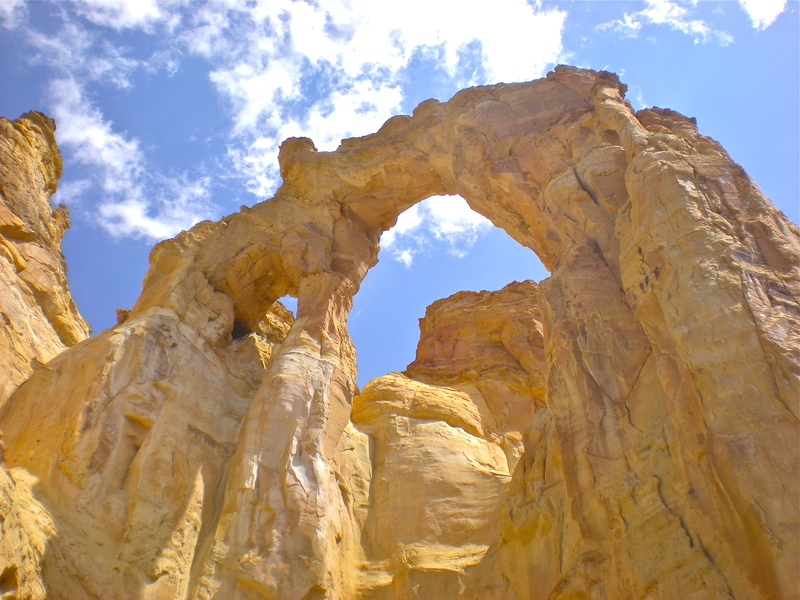 Our destination for the day was Page, Arizona and Lake Powell. 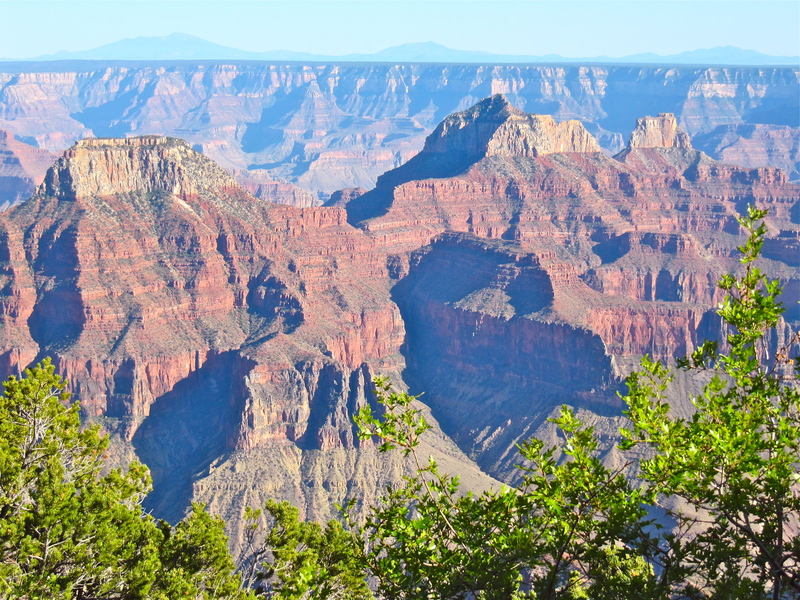 Since we arrived boatless we choose the Canyon Adventure boat tour for a nearly three-hour lake experience. 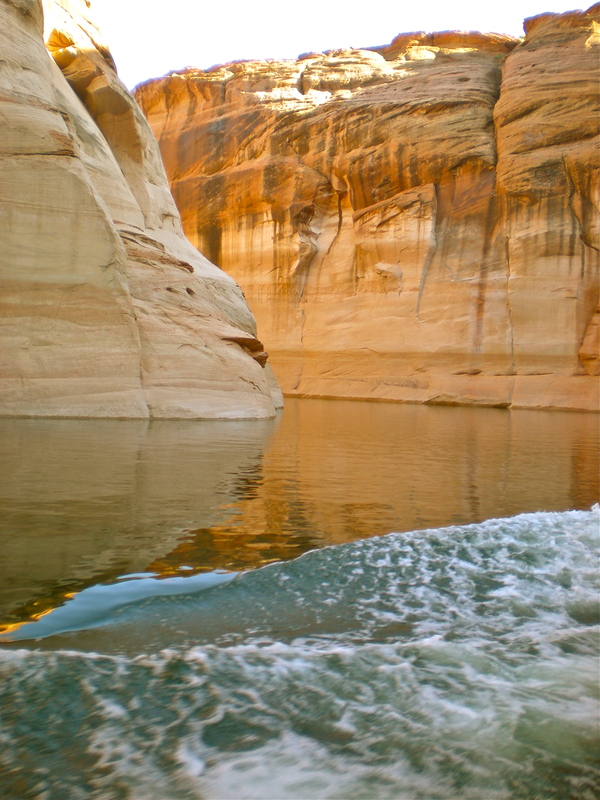 The waters of Lake Powell flow into dozen of desert canyons. 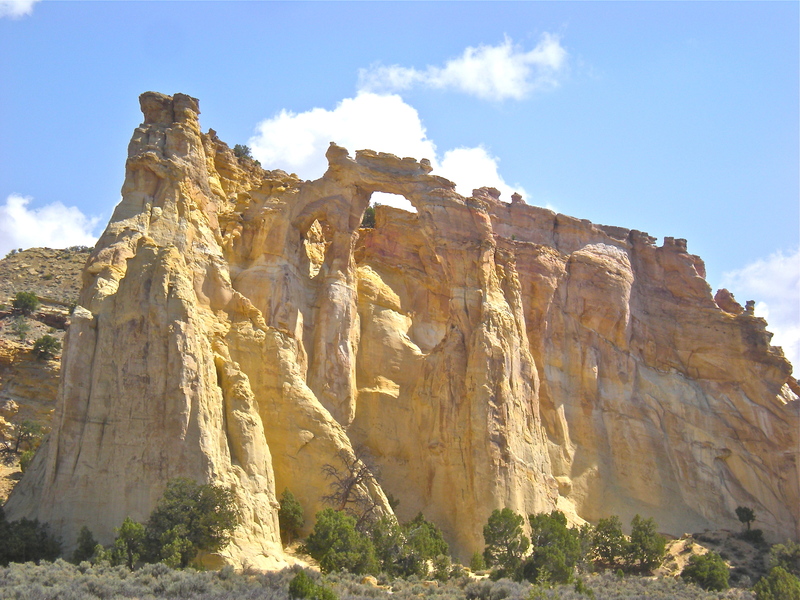 On this tour we went up Navajo Canyon and the narrower Antelope Canyon to a spot where we could almost reach out and touch the walls. A watery day in the desert. I’ve come to the end of another travel day and I can’t help it – I want to rant. Some days the people who cross your path are just too in la-la land I can’t imagine how they got this far. #1 – My morning encounter was a lady in the breakfast room of the Wingate hotel in St. George. I spit a bagel and placed it in one of the toasters, the kind that you put on a wire rack on top and the toasted item comes out on the bottom . So my bagel is about to drop to the finished rack and woman reaches in and takes the bagel. When I confront her I ask if she had sliced it and put it in the toaster. Her reply, “I thought it was automatic.” I guess she thinks everything is about her and when she enters the room it’s time for the toaster to get to work. 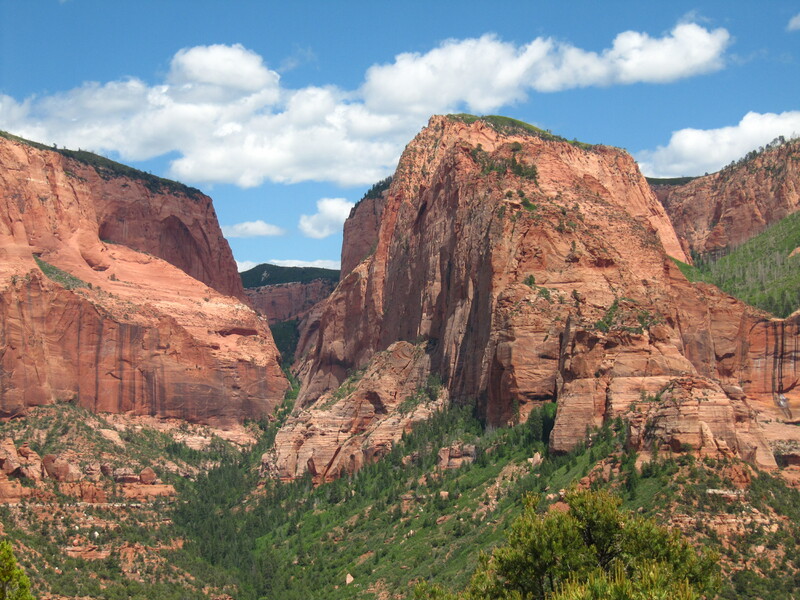 #2 – Memorial Day in Zion Canyon sees a steady stream of visitors and hikers in all the popular areas. 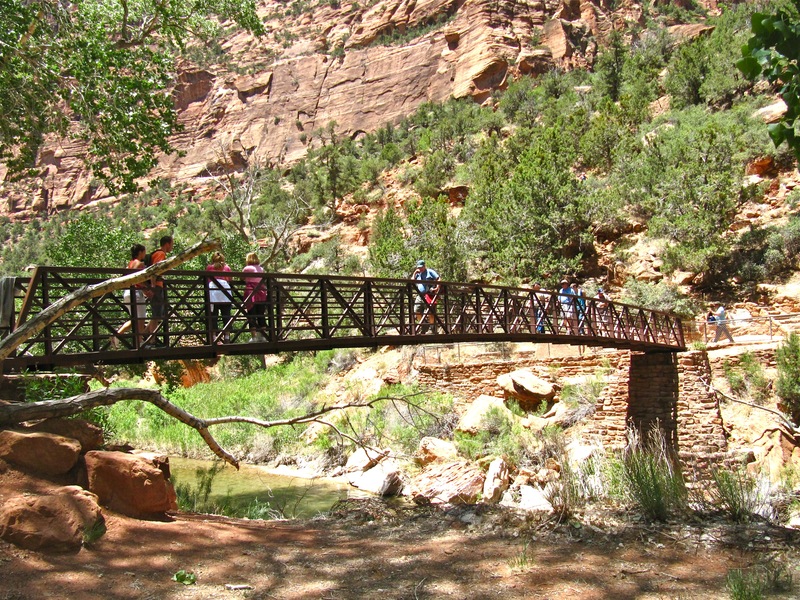 A foot bridge crosses the Virgin River is wide enough to pass someone – unless, people decide to walk right down the center. We wait patiently while a steady stream comes towards us, sometimes in pairs, some stopping to take pictures, until it is obvious we’ll have to be pushy to gain access in the opposite direction. 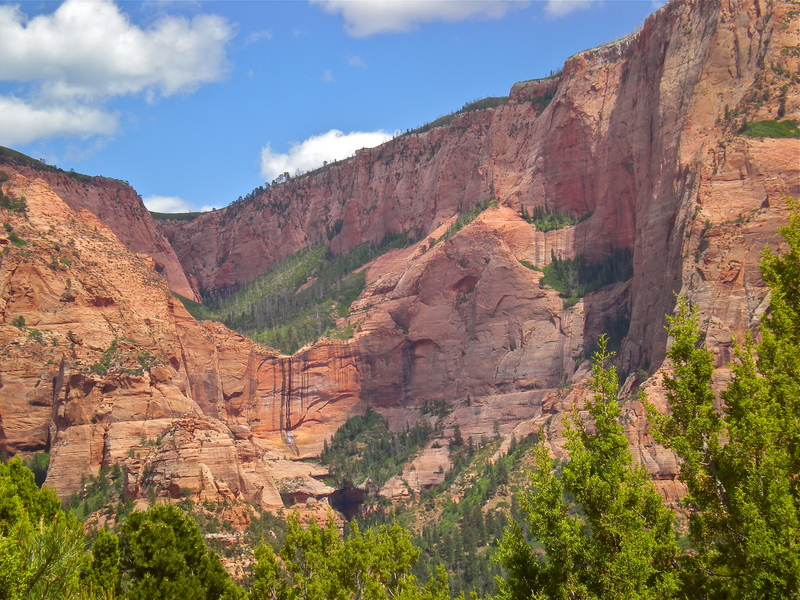 #3 – Driving towards Zion’s east entrance the road climbs with many switchback curves. 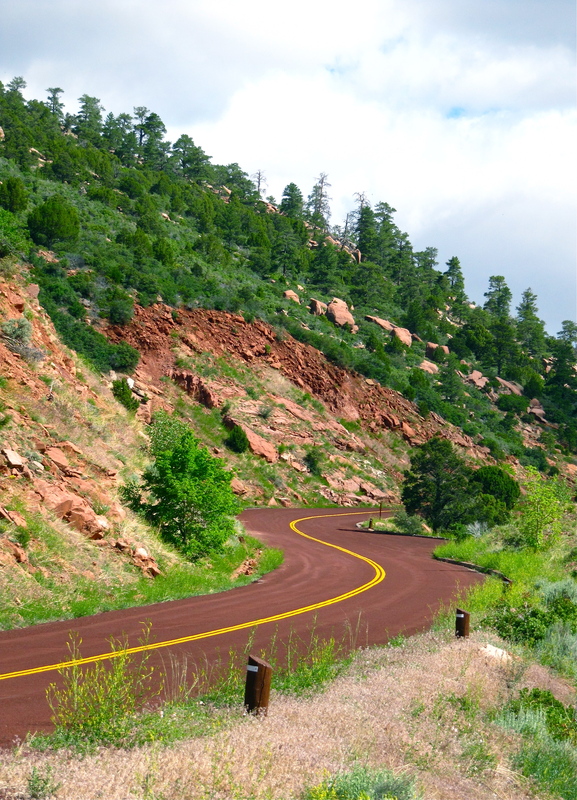 On one curve there is a paved pull off on the inside of the curve. A car with a California license plate has stopped to take a photograph – not in the pull off but head on to oncoming traffic. What are they thinking? 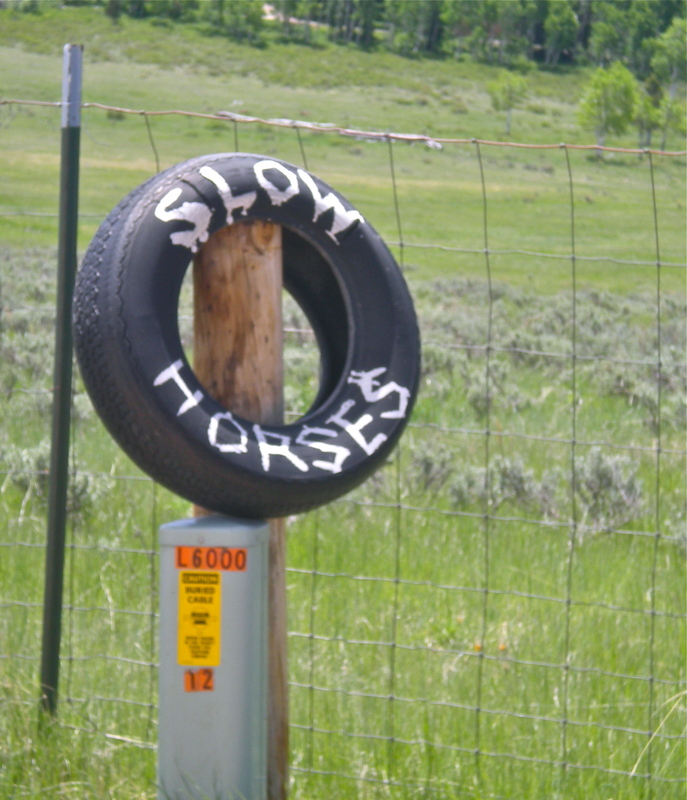 Are they thinking? 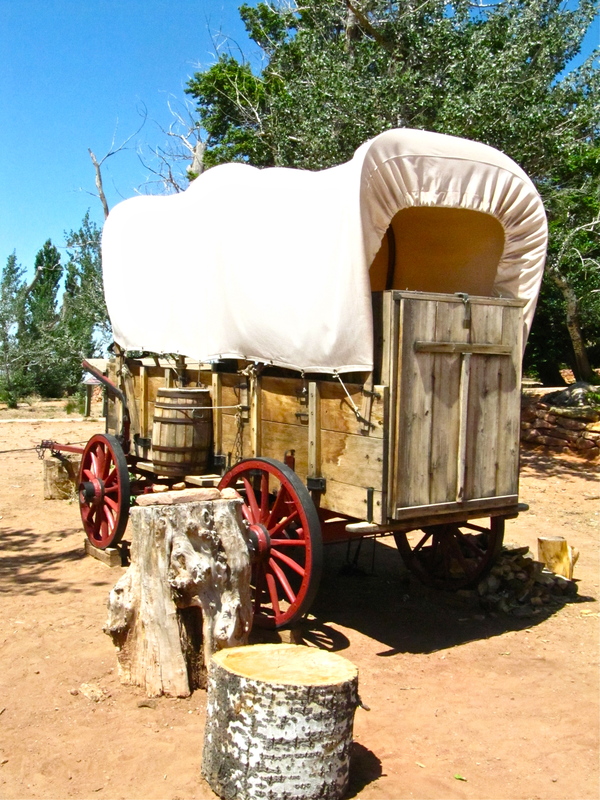 #4 – As we’re checking into the Kanab Holiday Inn Express a couple is loading the only available luggage cart. Assuming (silly us) they will return it as soon as they unload we relax in the lobby with a warm fresh baked cookie. We finally decide to go ahead unload without a cart. We later meet them in the hall as they return the cart on their way to dinner – at their convenience. You can bet I had words for them. Rarely does one day bring so many rude, thoughtless people. Thank heavens. Guess what’s in that cloud! 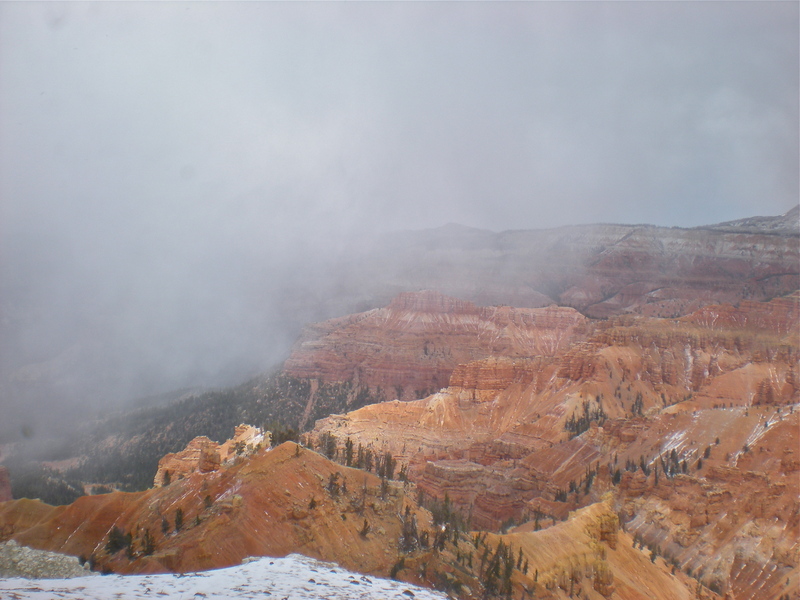 Yes, the date is May 26 but at Cedar Breaks National Monument near Cedar City, Utah the clouds rolling in brought snow and wind. 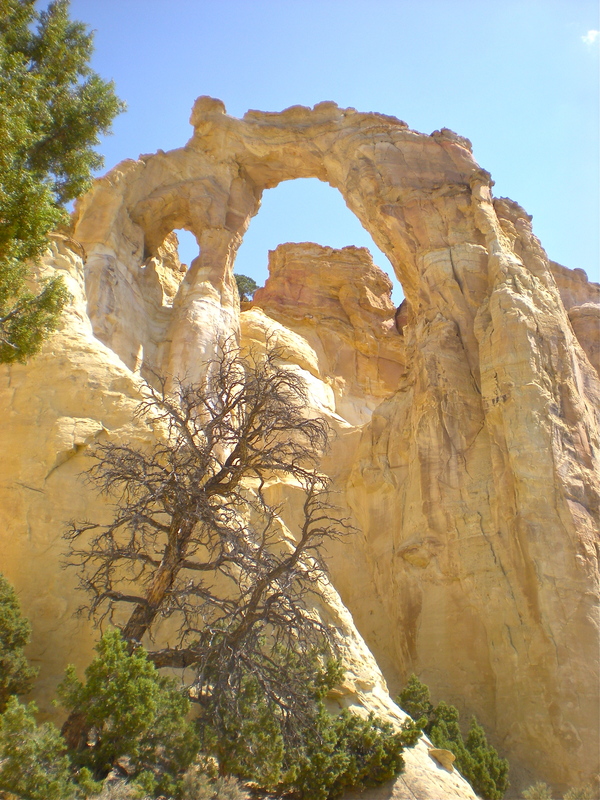 The car thermometer went as low as 26 degrees and a ranger said the wind was gusting up to 60 mph, averaging 30-40 mph. Even with four layers – shirt, hoodie, fleece, coat – fleece headband and gloves I could only tolerate being outside for a few minutes at a time. Can’t image what the chill temp was – COLD. 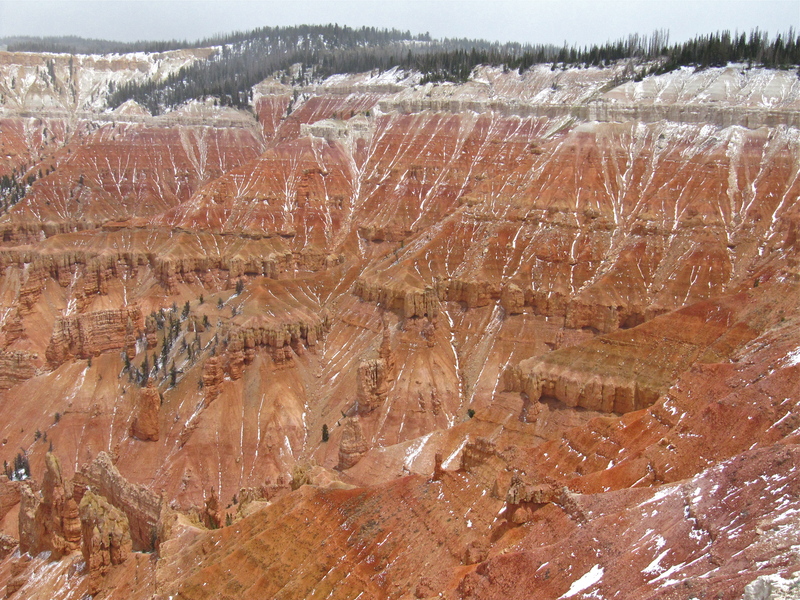 We started the day with a light rain at Bryce Canyon National Park, and wind. All of southern Utah seems to be on high wind alert. 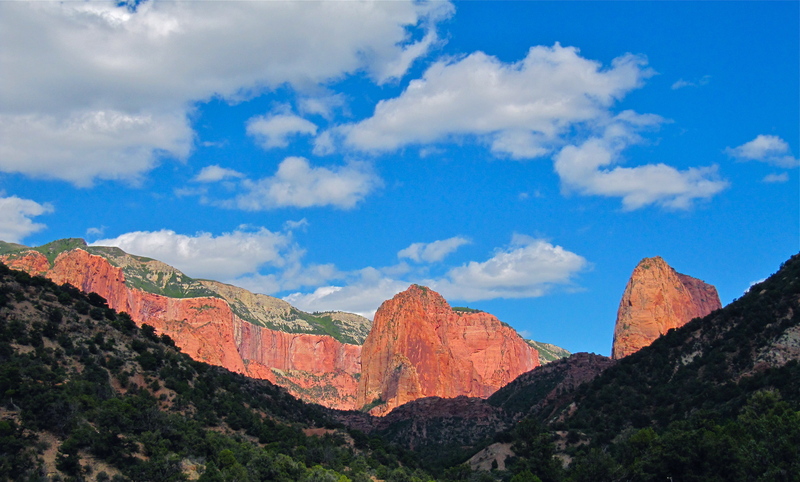 After the rainy beginning we were happy to see increasingly bluer skies as we headed through Red Canyon and the Dixie National Forest on our way to Cedar Breaks. 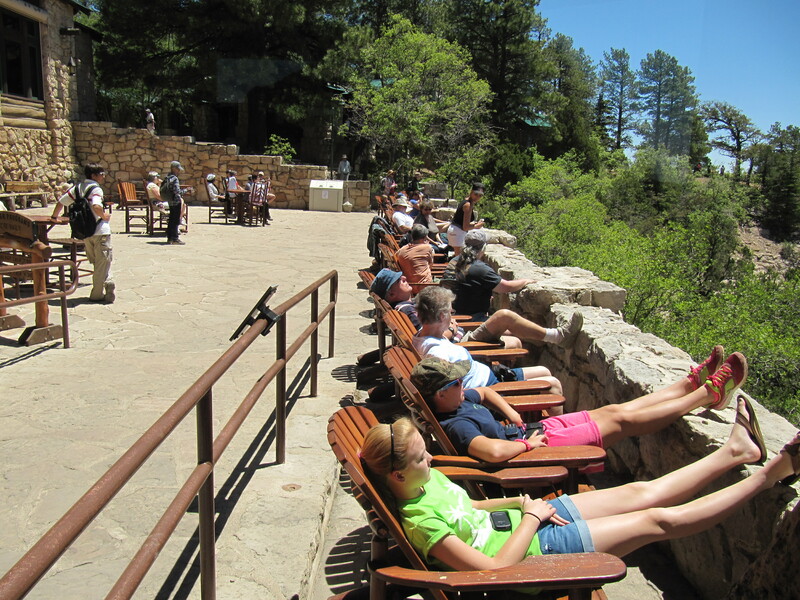 The monument’s visitor center just opened for the season yesterday. 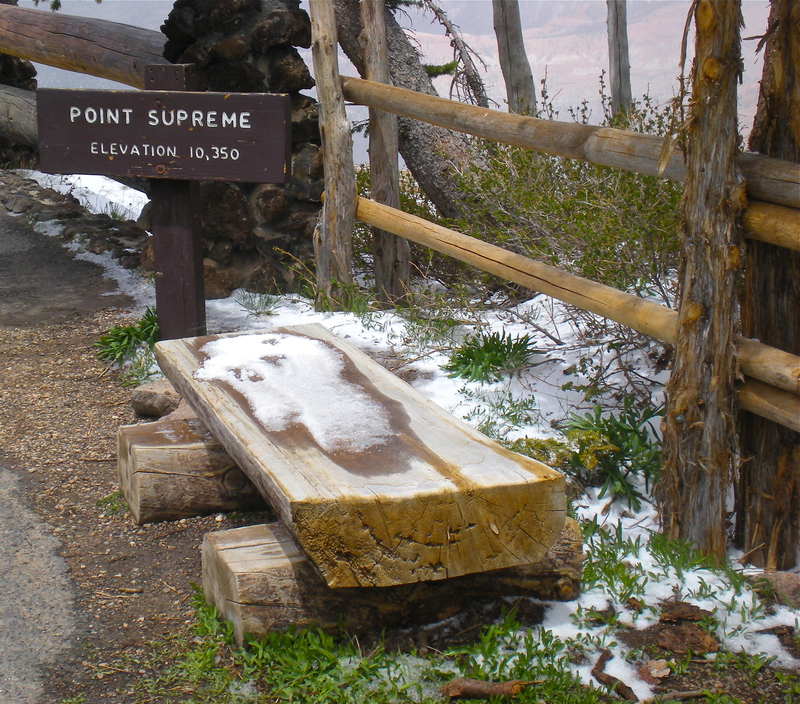 One of the rangers said, “I’ve been here five years and it seems to be a law that we have snow on opening weekend.” A toasty fire in the Visitors Center provided a warm up before heading back to the car. 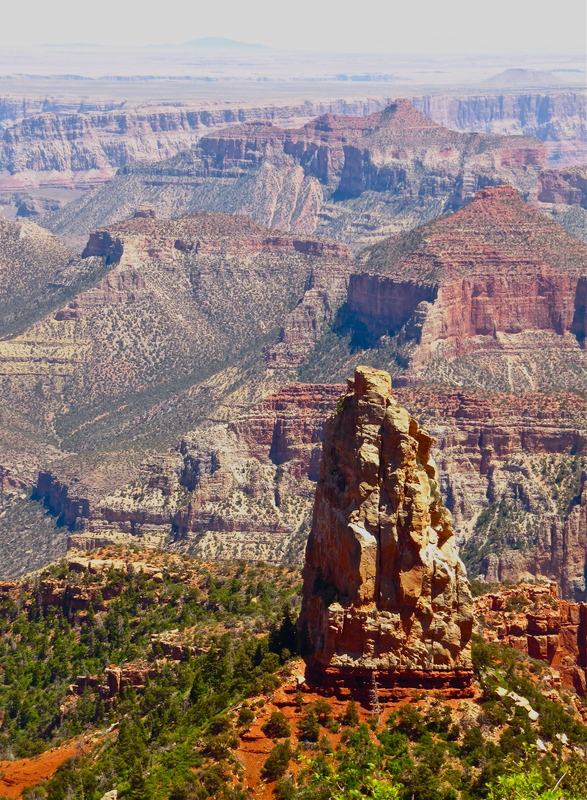 While the weather limited our activities the views are enticement to return on a better weather day.